You can’t count on halal certification to minimize food safety risks – and neither will your customers. You’ve just become certified to a halal standard. It wasn’t easy – the list of requirements is long and rigorous. But you have confidence that it was a smart business move. There’s a big customer base out there, and it looks like the trend of growth will continue. According to a 2011 report, the halal food market grew quickly over the course of a decade, and was worth an estimated $632 billion annually on a global scale at the time. But not so fast! Just because your operation and food are halal-certified doesn’t mean you’re going to be competitive, necessarily. 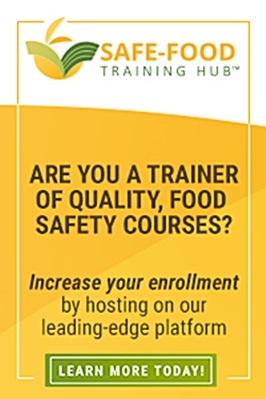 Your prospective customers are very likely going to demand certification to a food safety standard, too. If you don’t have that in place, your halal certification loses a tremendous amount of market clout. The focus of halal certification is based on traditional practices for food handling and preparation. It starts with the animal – it has to be healthy, well cared for and slaughtered according to certain rules. The requirements follow the food through to preparation and handling, eventually landing on a consumer’s plate. 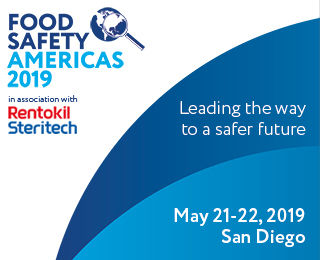 Many of the requirements of Halal address the same types of concerns found in a Global Food Safety Initiative (GFSI) benchmarked standard, like sanitation and hygiene, cross-contamination, traceability and supply chain management. But it’s not considered equivalent to comprehensive food safety standards, like those recognized by the GFSI. Any food safety or quality advantage afforded by a supplementary standard, such as halal or kosher certification, is a definite plus. And becoming certified to supplementary standards can give you a competitive edge, especially as consumers are becoming increasingly fluent in the language of food safety, and sharing their knowledge rapidly over social media and online forums. But in order to be competitive and do business in today’s modern industry, you need more than a supplementary standard. Consider it the icing on the cake – the bulk of the important stuff is contained in your comprehensive standard, but the added ability to attract a target market with a supplementary standard makes your product highly desirable to prospective customers. As communities across the globe diversify, supplying food that meets the needs of a specific ethnic group – or those who simply wish to eat according to specific rules – will become increasingly relevant to major retailers. The aisles of the grocery store reflect the composition of the community. From an ethnicity standpoint, but also relative to other issues like allergies, intolerances, and awareness of diet-related disease risk. Allie Gallant is regular freelance writer and blogger with Global Food Safety Resource who is also one of our most valuable and recognizable contributors.